Finding Our Way in the Dark: Making Discomfort Your Friend - Veritas Communications Inc. It rained all night. My tent was soaked. Earlier that day I tossed my backpack on the Durango-Silverton narrow-gauge railway car and climbed aboard. 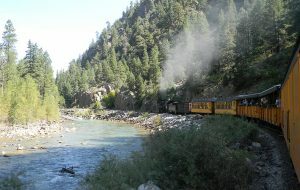 The train began its clickety-clack along the Animas River in Colorado’s San Juan Mountains. After two-and-and half hours, the train came to a slow stop at a sign that read, “Needleton.” No roads. No people. There was just a footbridge across the river. 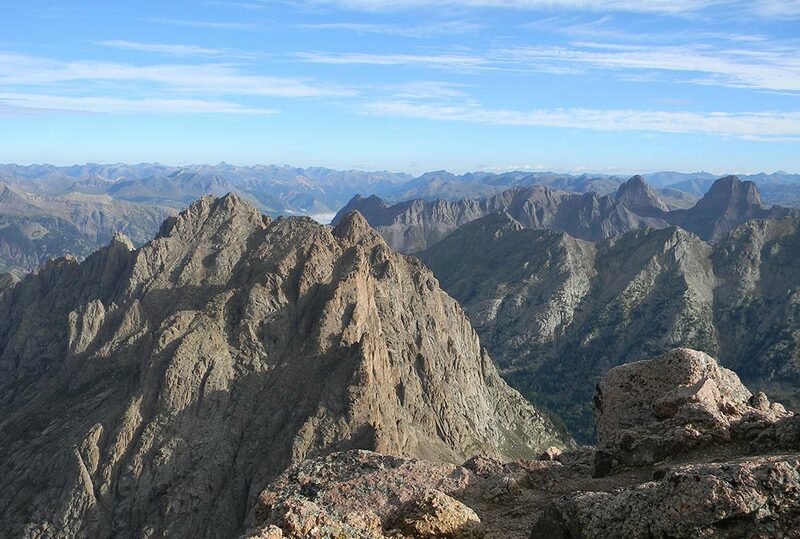 Then I began the lonely hike into Chicago Basin which brought me beneath three behemoth 14,000 foot peaks. It was 4:00 am when the rain finally stopped battering my tent. I peeked outside to see a faint moon. It was time to get moving. I made my way up the pitch-black trail with my headlamp revealing the view ahead. Finding our way in the dark is never a comfortable experience is it? It is unnerving. Uncertain. Stressful. “Will I get it right?” “How can I connect with the audience?” “How do I mention my book?” We may feel unprepared or insecure or intimidated or a hundred other emotions. Healthy fear can be positive. People with no fear are fools . . . or arrogant. People with too many fears are pathetic. There must be a balance, right? Making my way up the trail that morning in September 2012 was unsettling. My headlamp caught the glowing eyes of countless creatures along my path – most probably deer or mountain goats. But I kept going and moving and putting one foot in front of the next. There are no guarantees in life, just people who put themselves in complex situations and hope they can overcome whatever obstacles they encounter. People who take no risks face little discomfort. In the process of doing interviews, I have discovered a few simple ways that will make your trip up the interview trail more enjoyable. Be knowledgeable. Go into your interview knowing what you can know. Check out the host on their website or learn what you can about the audience. Be enthusiastic. Go into interviews with energy and excitement. Be wary. Fear is not the enemy. Apprehension is normal but don’t let it control you. Be determined. What do you want to accomplish? Change people’s minds? Sell a book? Communicate about faith? Know what you want to do and stay focused. Be prepared. Know what points you want to make and make them. Go into each interview with a plan. Be realistic. Not every interview will go perfectly. Don’t be too hard on yourself. Remember that you are your own worst critic but you can always improve. Be grateful. Every interview or invitation is an opportunity. Express your gratitude. Be equipped. Have your book, notes, or water ready. Be ready with prayer. The further I got up the trail the closer the high peaks looked. The obstacles seemed less daunting as I kept moving upward. The darkness was now only a temporary hurdle for reaching the top. High above tree line the views opened up and I could see much better. I had a new vantage point; a different perspective. As the great mountaineer, Yvonne Chouinard observed, “I’ve found that I had my greatest adventures when there was a problem.” For those of us in the media or who use the media, finding our way in the dark is part of the joy of the journey. Embrace discomfort or problems and make them your friend.